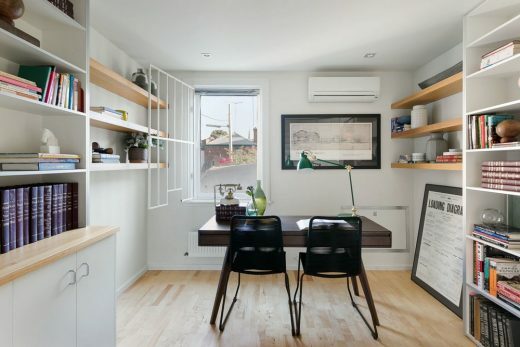 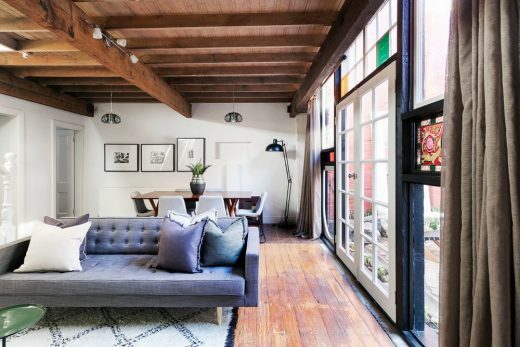 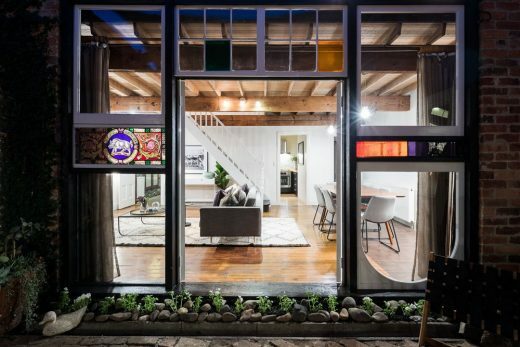 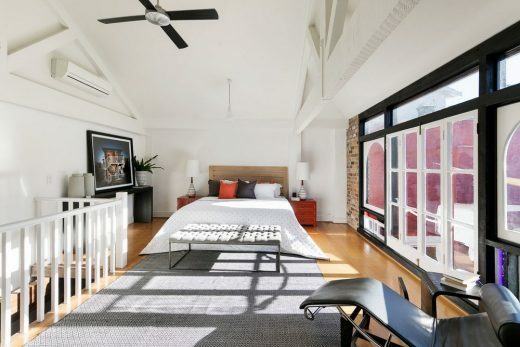 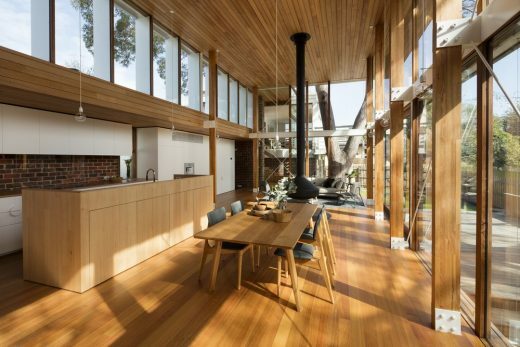 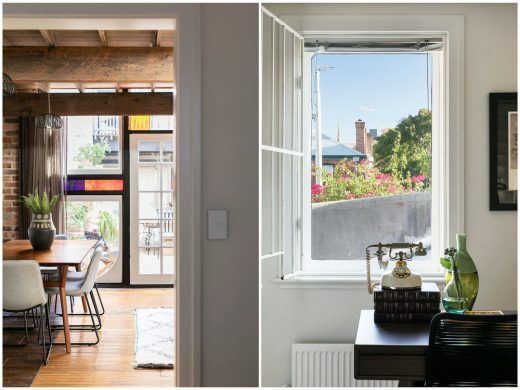 Design + Diplomacy were lucky enough to renovate and style this iconic Fitzroy property for sale. 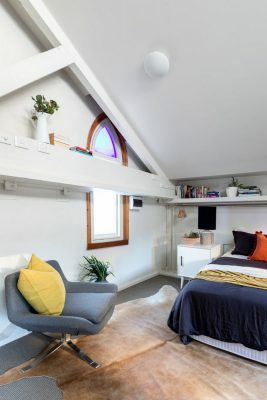 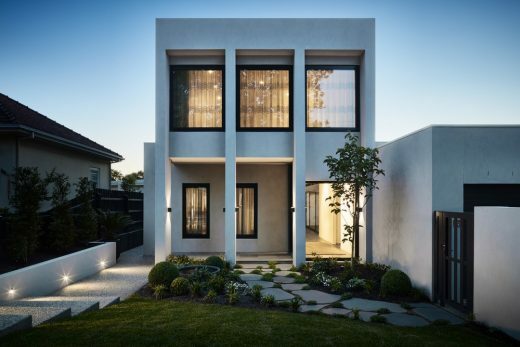 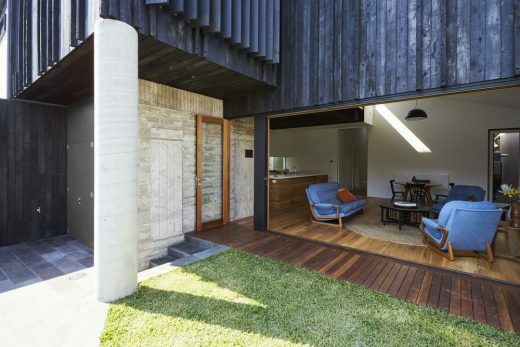 Formerly a church hall, Aboriginal kindergarten and setting for several award-winning productions (Jack Irish, Ricky & Pete and The Tenderhook), this private residence was given a makeover all turned around in 2 weeks. 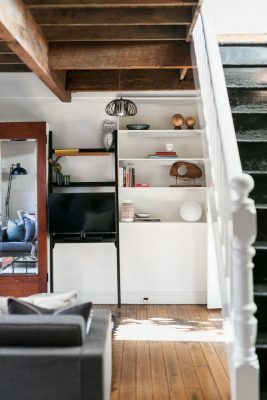 D+D painted throughout and reconfigured the stair access to the guest quarters to add privacy and security. 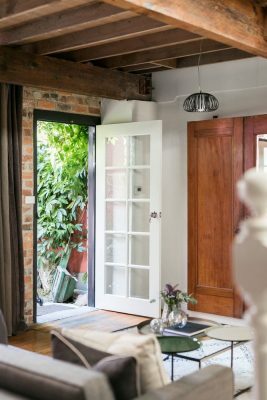 The front facade was restored to it’s original splendor, bathroom re-tiled and windows, doors and lights replaced throughout. 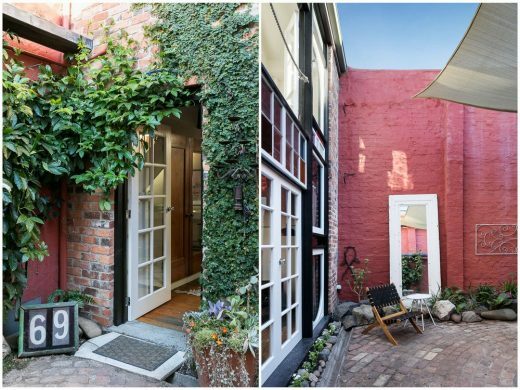 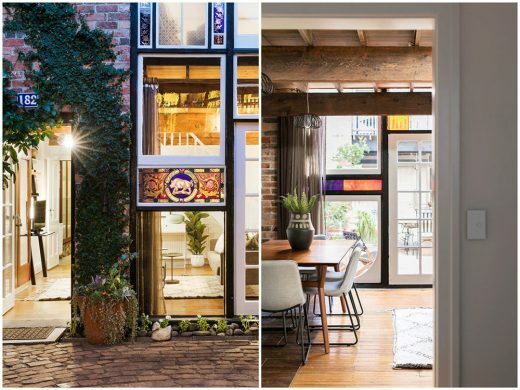 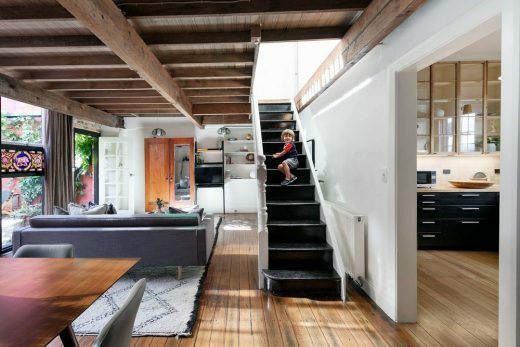 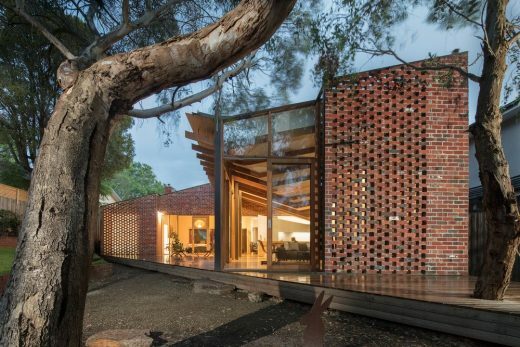 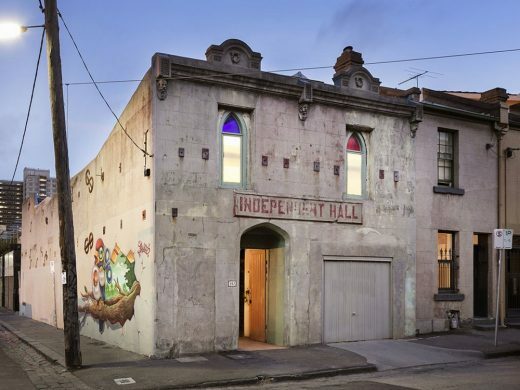 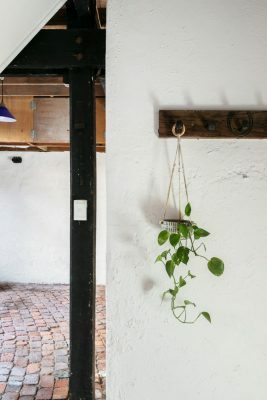 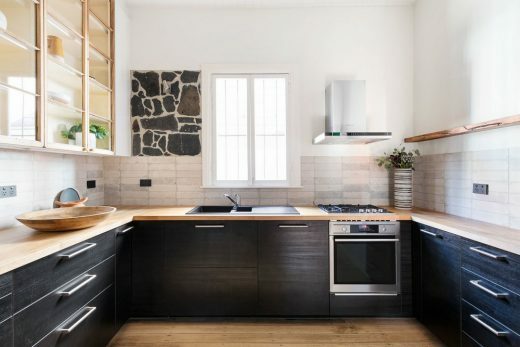 This truely unique and eclectic property is currently for sale through Nelson Alexander in Fitzroy.